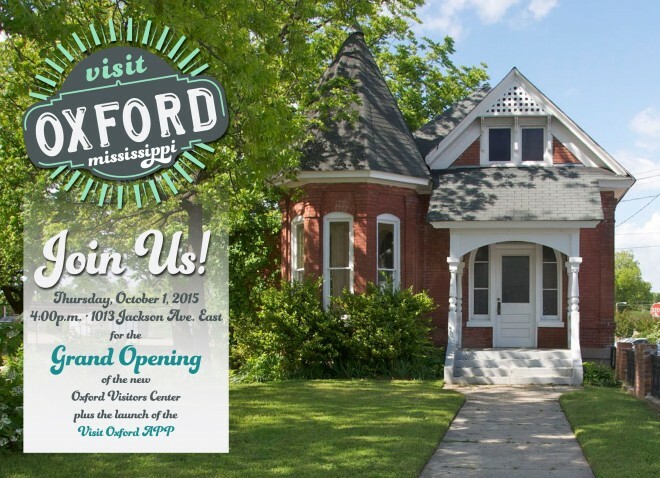 Visit Oxford’s Grand Opening is set for this Thursday, Oct. 1, at 4 pm at our new location, 1013 Jackson Ave. East! We are incredibly happy to announce our move, and we want you to be apart of it. The afternoon event will begin with an Open House of our new location followed by a ribbon cutting presented by the Oxford Chamber of Commerce. There will be a formal introduction for each of our staff members, where all guests can get to know our office and the people accompanying it. During this special event, a very important and special announcement will be presented about the new Leadership Lafayette Visit Oxford App. With our world becoming so digital, we believe it is time to bring Oxford to all from a mobile app. This new application will allow users to easily navigate around Downtown Oxford, the Ole Miss campus, and other points of interest, as well as, provide guidance about local restaurants, attractions and hotels. The Grand Opening will include drinks and food catered by My Michelle’s. We invite all Oxford public to join and enjoy our new location as much as we do. For more information on our Grand Opening or the City of Oxford, please visit our website or give us a call. Thank you for Toni Cruse for this press release.